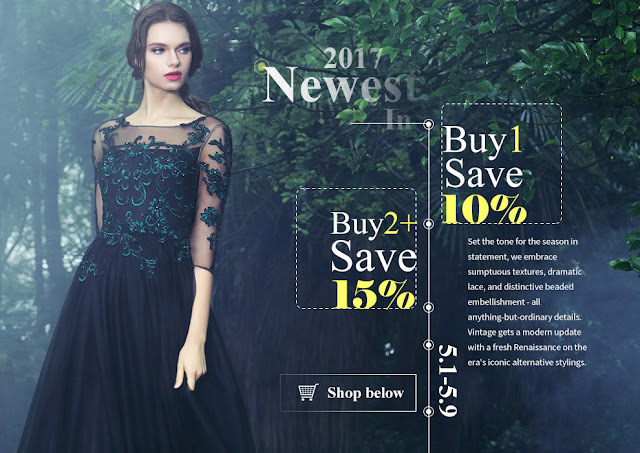 In most occasions, newest evening prom dresses are more attractive, stunning, trendy, and also more expensive. However, you still have chances to shop a new dress with very competitive price - in eDressit store during 5.1-5.9 . 2. Placed order should be paid in 24 hours after the promotion ends, or the system will cancel the order automatically. When you shop your dress, pay attention to the dress styles, necklines, available size, color, and also the fabric. 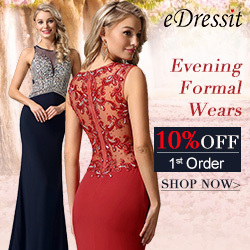 Though eDressit provides thousands of formal dresses, including long evening dresses, prom dresses, homecoming and graduation dresses, mother of the bride dresses and also wedding dresses, bridesmaid dresses, not every dress fit you. The one balances your body figure should be considered. Each dress is unique. So, just take time to select the dress fit your figure best.